Back for its second edition, The Music Run™ by AIA is an immersive 5k fun run that puts music at the heart of the experience. Over 120 concert quality speakers pumping out over 150,000 watts of music will line the running course, known as ‘The Sound Track’, across five interactive and music themed zones – Rock, Pop, Old School, Hip Hop and Dance. Highly immersive and interactive, the music experience starts from the moment participants sign up for the run. Participants get to decide the music that they want to listen to during the run by voting online for their favourite hits using a bespoke music selection app created with digital music partner, Spotify®. The songs with the most votes make the official soundtrack of the run. Come visit Sentosa as it gets transformed to welcome the Year of the Monkey From 1 to 14 February, embrace the Year of the Monkey together with your closest family and friends and look forward to a myriad of activities and routes to weave through at the State of Fun. Start off with a slow stroll through the Merlion Plaza and be visually treated to floral displays or spot the Family Bliss lantern display featuring three generations of monkeys. Feel the springtime love as you pass the Union of Love and Butterfly Garden light displays before hitting the Prosperity Bridge enveloped by arches of lanterns and romantic Cherry Blossoms. Looking for luck? Weave your way through the Prosperity Maze at Siloso Point or visit the Guardian of Prosperity at Sentosa Merlion and receive a free Prosperity Coin Holder with every ticket purchased. What’s more, take a picture of yourself in a monkey pose in front of the Sentosa Merlion and post it on Instagram with #SentosaMerlion for a chance to win attractive prizes! Make the Lunar New Year weekend one for the family and bond over traditional activities such as calligraphy, paper cutting and palm reading from 6 to 9 February at Siloso Point. A hit with families, Port of Lost Wonder will also be having lantern making activities for everyone. After expending your creative juices, take a walk under a shelter of lanterns towards the Cherry Blossom Trees to pen a wish with your loved ones, or swing by the Palawan Amphitheatre at 5pm (daily) to get up close and personal with Mickey, the Pig-tailed Macaque. In light of the year of the Monkey, learn more about long-tailed macaques including their facial expressions with “Understanding the Long-tailed Macaques” by Sarbina Jabbar on February 20 from 1pm – 2pm at Sentosa Nature Discovery. On 8 and 9 February, visitors can also look forward to Lion and Dragon dances at the Beach Plaza and Port of Lost Wonder. Another canopy of lanterns welcomes visitors as they descend on the popular stop, and are immediately taken by the beautiful colours of the Springtime Garden. Large wall mural lining the paths at the Springtime Garden will certainly provide the perfect picturesque backdrop for couples looking to capture romantic moments with a ‘selfie’. Discover nature even further with a line-up of activities from February all the way to March 31. Fall in love with the animal kingdom with a photo exhibition “Love in the Animal Kingdom” by award-winning nature photographer C.S. 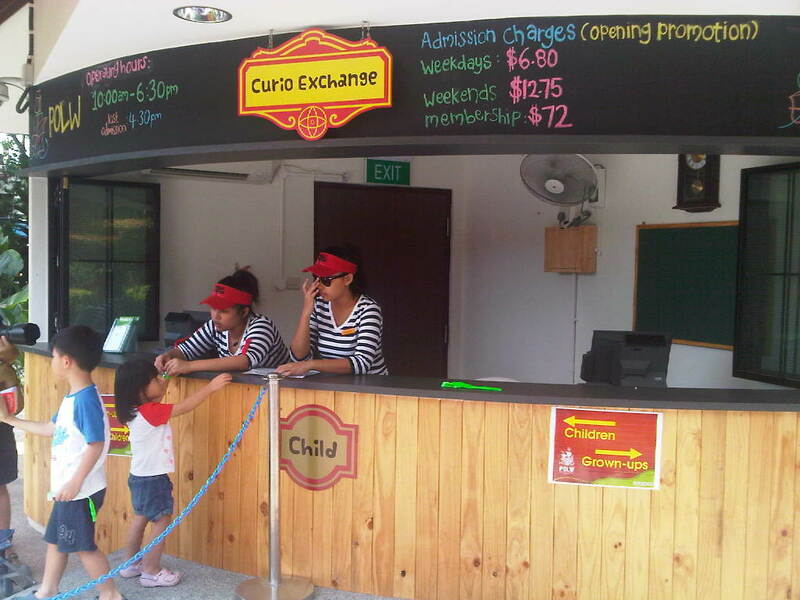 Ling at Sentosa Nature Discovery from 9am to 5pm. Learn more about the magic and work behind these photographs when C.S. Ling speaks on “Photographing Wildlife: From Heart to Lens” at the Discovery Room from 2pm to 2.40pm on 13 February. End of your excursion at Sentosa by heading over to the Merlion Walk, and get a glimpse into what the year has in store for you at the Zodiac 2016 signboard or Horoscope Sign Board on the Beach Plaza. Providing the perfect light and floral display to wrap up the February festivities is the Orchid Connection and Merlion Walk will be brilliantly decorated with floral displays. Round up the evening with Wings of Time and feel the Springtime love take flight at Sentosa, this February. SINGAPORE, 5 NOVEMBER 2014 – More than 3000 runners took to the streets of Sentosa Island for the inaugural PUMA Night Run Singapore last night. The PUMA Night Run Singapore 2014, which joins a series of PUMA Night Runs around the region, saw running enthusiasts from all walks of life take on the challenging 10km route. Celebrities Elvin Ng, Xu Bin, Felicia Chin, Dawn Yeoh, Jaymee Ong, Shane Pow, Chase Tan, Nick Teo and Charles Lee also took on the 10km challenge alongside the PUMA Night Cats Kimberly Chia, Tabitha Nauser, Gavin Teo Chong Zhe, Justin Vanderstraaten, Darius Chia, Vivi Yeh and Mahdhir Mustaffa. Also among the runners were a hearing-impaired participant, Singapore’s One Arm Runner Adam Khamis as well as six visually challenged runners from Runninghour, an inclusive running club that promotes the integration of people with special needs through running. Hosted by actress and TV personality, Jade Seah and Malaysian Radio and TV personality, Phat Fabes, the evening kicked off with the PUMA Night Cat Club on stage to share their experience training up for the inaugural PUMA Night Run Singapore. The celebrities were also on stage to share with runners their fitness regime and their goals for the PUMA Night Run Singapore 2014. Taking participants across different parts of the island, the race route covered the familiar stretches of Siloso, Palawan and Tanjong beaches before taking runners off the beaten track. Adding a refreshing twist to race routes on Sentosa Island, the night race brought runners through the fringes of Sentosa Golf Club, the Sentosa Satellite Earth Station as well as a stretch that is normally out-of-bounds to the public. Coming out on top for the Men’s Open category was Thomas Kiprotich, with a time of 31 minutes and 51 seconds followed by Gurung Nimesh in second place (33 minutes 04 seconds) and Ng Junwei in third (37 minutes 23 seconds). In the Women’s Open category, Neo Hoon Suan was the first to cross the finish line in 44 minutes and 46 seconds. Rohani Binte Mohamed Ibrahim came in as the first runner-up with a timing of 47 minutes and 54 seconds while Diane Saint-Sauveur bagged the second runner-up title in 49 minutes and 53 seconds. The fun and excitement continued after the finish line with an array of post-race activities organised at the PUMA race village in Wave House Sentosa. Race participants took the opportunity to cool down and surf at the popular FlowBarrel while others celebrated their completion of the race grooving to music performances by homegrown talents 53a and The Sam Willows. DJ Andrew T wrapped up the night with electrifying DJ set where celebrities, personalities, race participants and their supporters partied to pumped up beats and ended the night on a high. You Fly, We Fly, Everyone FLy at iFLy Sentosa Singapore, I manage to witness one of the most exciting thing in indoor skydiving a few days back and that was to watch not 1 but a couple of Guinness World Record being broken right before my eyes. 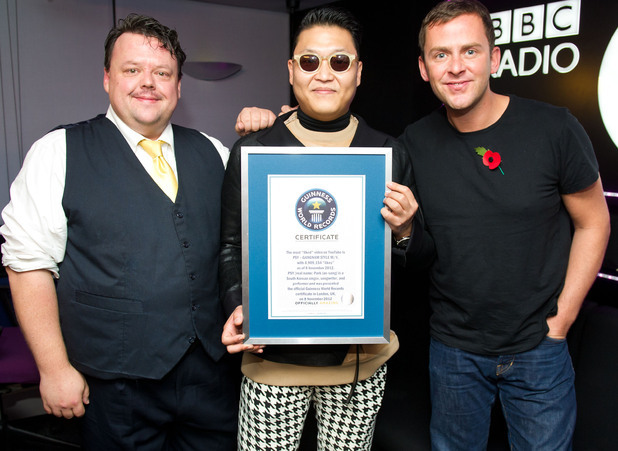 It was really amazing to witness such a spectacular event and no wonder people gawk in awe when GWR certificate is being handed out ( I for sure am one of them) Why gawk you ask ? I manage to capture both girls at their attempt breaking event, did they manage to break the World Record ? watch the video to find out. Ok those girls broke it like they own it. Kyra did a total of 67 somersaults and man that sure is a dizzy one, just looking at them go makes me go all light headed. so CONGRAT to the girls and also iFly for hosting this event. 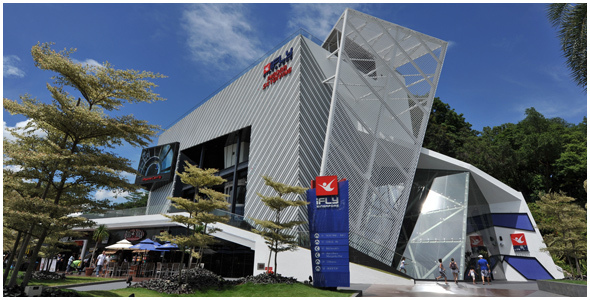 At a height of 56.5ft and width of 16.5ft, iFly Singapore is one of the world’s largest indoor skydiving simulators. iFly Singapore is the only wind tunnel that offers flyers an unparalleled view of the South China Sea and a nightly firework display from the nearby Songs of the Sea. The entire body flight facility is themed like an airport terminal and offers a consumer flight journey unlike any other wind tunnel. iFly Singapore is safe, affordable and feels like the real deal. Anyone from first timers to professional flyers, ranging from seven to 106 years old can fly! The stainless steel elastic net at the base of the wind tunnel is strong enough to hold two adult elephants (or 200 people of 100kgs each)! The usual body flight wind speed ranges from 160 to 190 kilometres per hour, but the four fans weighing in at a whopping seven tonnes each can produce airspeeds of up to 300 kilometres per hour, faster than the average speed of an F1 car. 20 professional flyers can be accommodated at any one time. Its the time of the year again for the Real Run event happening on the 25th of May 2013, there will be a twist of event where this time the event will be held in Sentosa instead of the regular Changi. Port Of Lost Wonders is the latest attraction by Sentosa and this event also marked the launch of Sentosa’s 40th anniversary celebrations. Port of Lost wonder is Singapore’s First Kids’ Club by the Beach designed to provide a unique family experience. Targeted at children aged 3 to 10 years old, the attraction houses a signature water play area, themed islets for picnics and leisure activities and distinctive retail and dining experiences. Together with a myriad of specially-designed activities aimed at satisfying wonder, curiosity and connection, it is here where families can come together to explore and discover new experiences and create unforgettable memories.